With a history stretching back to 1958, Kernow Park Homes is a family owned business in St. Columb Major, Cornwall, providing relaxing Park Home Estates for the over 50s. 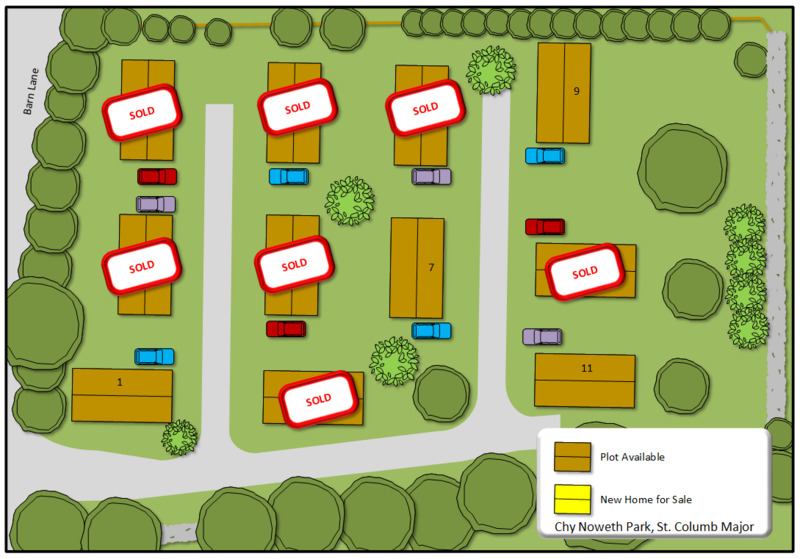 Kernow Park Homes Ltd manages Sun Valley Park and owns Chy Noweth Park. Both of our parks are set within beautiful North Cornwall, it is an ideal location for those seeking an active retirement, with excellent public transport links to Truro, Wadebridge and on to Plymouth. Our park home estates provide a close community and residents regularly organise events. Sun Valley has a strong community spirit as residents are of similar ages and circumstances and friendships are quickly established. Our homes are laid out on spacious plots all with a parking space and because we are so close to the town and bus links residents can enjoy an independent lifestyle. As well as our previously occupied Park Homes, we work with our partners Pathfinder Park Homes and Prestige Park Homes to provide both off-plan and bespoke new Park Homes. A wide variety of styles and plans are available to suit your exact requirements. For details on off-plan homes available please contact us on 01637 880549 and a member of our team will be happy to help.